We provide Breckenridge oxygen rentals and service all of Summit County including Copper Mountain, Silverthorne, Dillon, Keystone, Breckenridge and Blue River and parts of Park County (Alma and Fairplay). A delivery fee may be assessed depending on your location. Altitude sickness can affect anyone, whether you have lived in the mountains your entire life or you're on day one of your vacation. Many visitors to Breckenridge may experience symptoms. 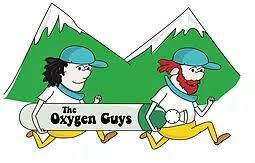 Oxygen therapy can help. Let us provide quick relief so you can enjoy your time in the Rockies!